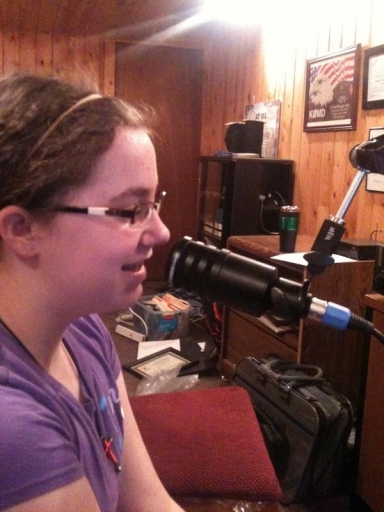 Sarah Wright, licensed at age 8, is now 13 and enjoys working 10 meter SSB and chasing DX. She is working on her DXCC on 10 meters. She also participates in multiop HF contesting with her dad, KØMD and Dr. Glenn Johnson, WØGJ. Sarah can be found on 10 meters mostly operating her dad's Icom 7800 or her own equipment- Heathkit HW 101 and/or SB 102. Sarah has access to a stack of Force 12 Yagis for her Dxing time. Sarah is studying for the General class license so she can chase DX on other bands. Sarah is a founding member of the Schaeffer Academy Radio Club, WØSAA and she participates in School Club round up as well. Sarah is a proud member of the ARRL and the Minnesota Wireless Association (www.w0aa.org) and often submits her own scores for the Minnesota QSO Party. You can see a video of Sarah doing the 2011 Minnesota QSO Party at www.YouTube.com by searching for WØSAA. to enjoy the YouTube clip of a great young SSB contest operator. Sarah is an honors student and especially loves science. Sarah loves animals and hopes to be a Veterinarian some day. Her cat is named Elliott and her dog is named Duke. She plays the piano in her spare time and loves to read. QSL to Sarah via home address. 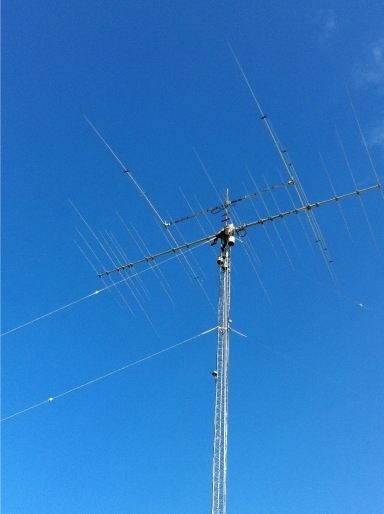 I use a Force 12 Magnum 240 N two element yagi for 40meters. It is 85% full size and has <2:1 SWR from 7.000 Mhz through 7300 Mhz. I consistently receive 5-9 plus plus signal reports from DX stations.Several have asked me what antenna I am using. Many 40 meter yagis interact with 15 meter yagis. This onedoes not It can be stacked within 5 feet of another yagi. It is an easy antenna to assemble and I had Tom Schiller (N6BT) install a special switch to make it more broad-banded across all of 40meters. Tom can build you this antenna anytime you want. © 2011 Scott WrightKØMD. All Rights Reserved.